Bats have a bad reputation - over the years people have supplemented their lack of understanding about bats with imagery and stories of creatures who are no more than terrifying flying rodents that spread diseases. This couldn't be further from the truth! When you learn all about bats, you'll fin out they can be extremely helpful and necessary to our environment. 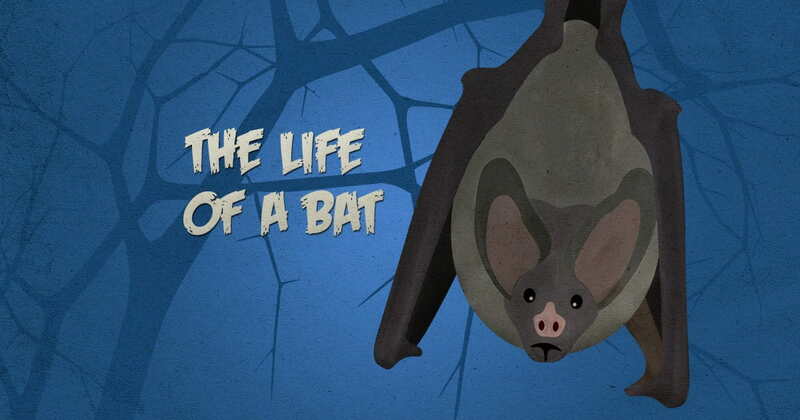 If you're wondering how to get rid of bats, you might want to learn these 25 fun facts about bats first. A Bat's Habitat | Where Do Bats Live? Bats are found in almost every part of the world and can thrive in most environments, which is why bat removal can be difficult. Bats typically live in colonies, or bat roosts, that include from 100 to 1,000 bats. Bats tend to live in trees, caves, barns, mines, etc. They prefer to be in a place that protects them from predators and weather and provides seclusion for breeding their young. However, they can also live in your home and require bat removal services. The lifespan of a bat is typically around twenty years. Many people ask our bat exterminators: Is a bat a mammal? Yes it is! In fact, bats are the only mammals that can fly. When colder weather hits, bats will either migrate towards warmer weather or go into short-term hibernation. During their short-term hibernation, bats reduce their metabolic rate, lower their body temperature and slow their heart rate. Bat wings are made up of cartilage and contain small amounts of calcium. The bones of a bat are similar to human fingers, however, they are more flexible. Mating occurs in late summer to early fall. The female will carry her young for a period that could range from forty days to six months. Bats will typically give birth to one pup around the beginning of June. After birth, the mother and pup will stay in a group separate from the males until the pup is old enough to care of itself. 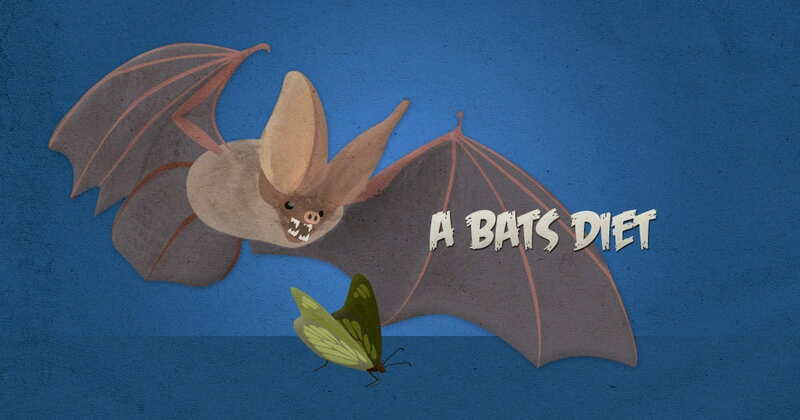 A Bat’s Diet | What Do Bats Eat? 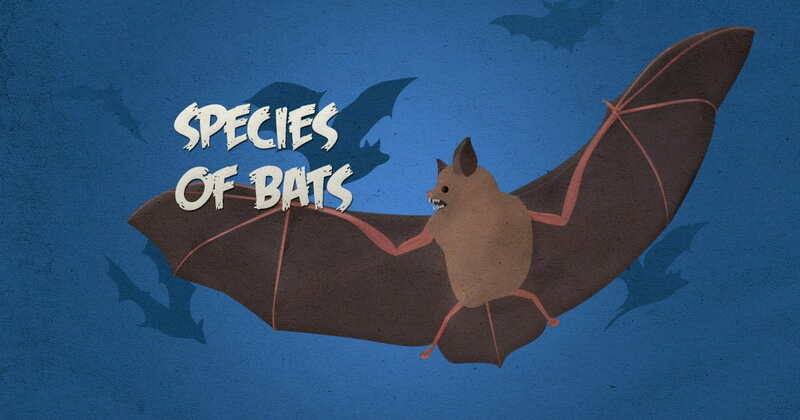 About 70% of bats consume small bugs and insects for their food, and 30% consume various types of fruit. Bats can eat up to 1,000 insects per hour. Since bats are nocturnal, some may fly upwards of 30 miles to find food throughout their nightly outing. Bats use echolocation to hear and communicate. This allows them to find their prey in complete darkness. There are more than 1,200 species of bats throughout the world, and they make up more than one-fifth of the mammal population on Earth. Bats are divided into two main categories: megabats and microbats. 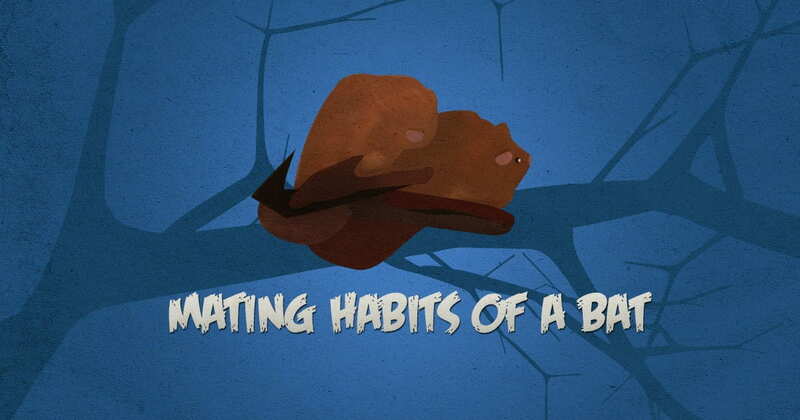 Megabats are larger and their diet typically consists of fruits. The smaller bat species that eat insects are known as microbats. The smallest bat is known as the Kitti's Hog Nosed Bat, which weighs less than one ounce and is about 1.25 inches long. The world's largest bat is the Giant Golden Crowned Flying Fox, which weighs about three pounds and can be about five feet long. August and September are the most common months for bats to enter your home and is the busiest time of year for bat removal services. Young bats will typically start going out at night on their own around August. This is when they get lost and look for shelter, and homeowners wind up with bats in the attic. Bats have a tendency to create black stains around where they enter and leave a home. Guano, or bat droppings, are similar to rodent droppings but will typically be full of insect parts. Bats create a lot of scratching noises with their claws on their wings. Listen for these noises if you believe to have a bat infestation. Bats have very small teeth that make it very difficult to notice if you have been bitten. If a bat has been found in your home and you're unsure if you have come into contact with it, call your health department immediately. Wondering How to Get Rid of Bats? Preferred Pest Control Can Help! 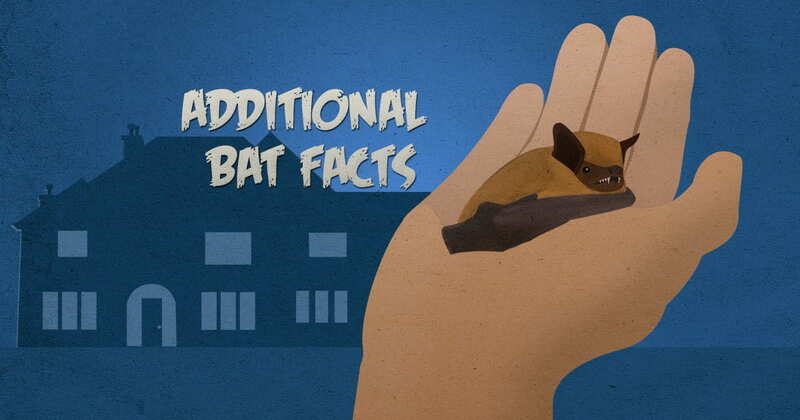 We hope our bat facts can help you identify a bat infestation. 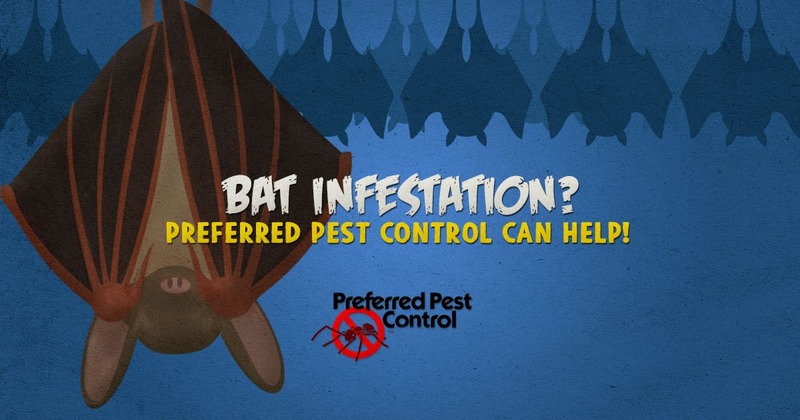 If you hear unusual noises, this could be a sign of bats within your home or business building! 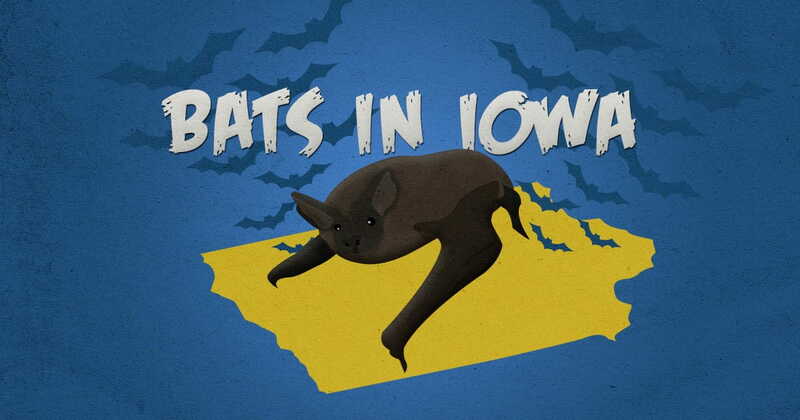 Let Iowa's leading pest control company of more than 30 years take care of your bat removal. Call (515) 276-7277 or schedule an appointment with Preferred Pest Control, today!